Becoming one of the best-known scientists in America—and maybe the universe—takes more than just smarts. It also requires charisma and a keen sense of how to communicate complex concepts in ways that most anyone can understand. A few decades ago, Carl Sagan was that scientist, and Sagan played a key role in shaping the man who now carries on his legacy. Neil deGrasse Tyson is probably the most famous astrophysicist of his generation, but it is as an educator and explainer that’s cemented his place in the scientific firmament. He is in Chicago to pick the prestigious Lincoln Leadership Prize from the Abraham Lincoln Presidential Library Foundation. Tyson is the director of New York’s Hayden Planetarium and most recently was seen on television screens around the world as the host and narrator of “Cosmos: A Space Time Odyssey,” which garnered multiple awards including four Emmys and a Peabody. Tyson himself is modest about his own accomplishments. 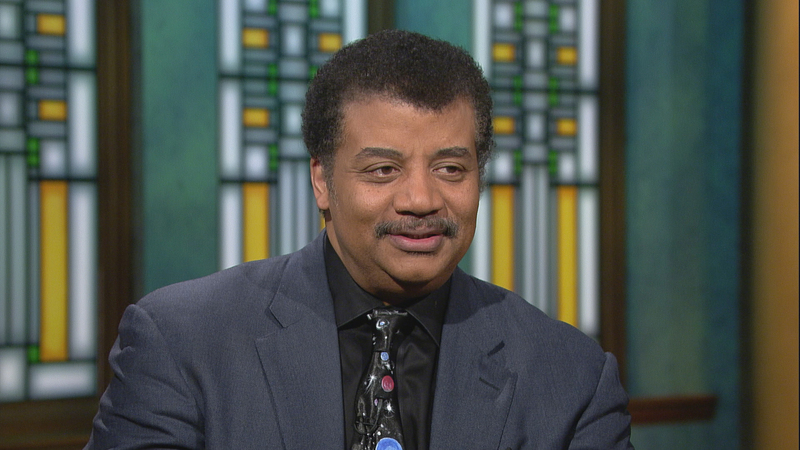 In the video below, Tyson answers viewers’ questions about favorite planetarium, his connection to his work and more. Feb. 6: A bright meteor streaked across skies in Chicago and the Midwest at about 1:30 a.m. Monday. Aug. 10, 2016: Each August, the Perseid meteor shower lights up the night sky as dozens of meteors fall to Earth, but this year, stargazers could see an outburst—up to 200 meteors per hour—when the shower reaches its peak, according to NASA. Aug. 25, 2016: A planet that could potentially host life has been discovered orbiting Proxima Centauri, the star closest to our solar system, according to a report published Wednesday by more than 30 international scientists in the journal Nature.